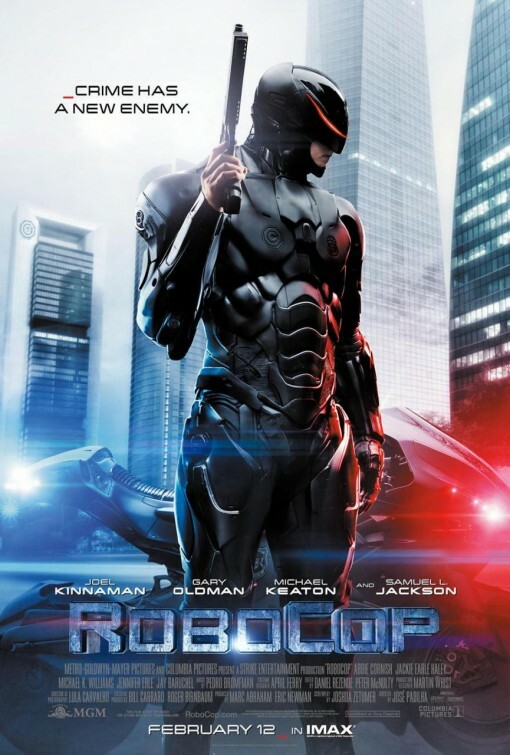 StudioCanal, who distributes films in the UK, has released a new International trailer for director José Padilha’s 2014 ROBOCOP reboot, a film that has become the subject of much nerd debate, with most saying it’s almost the highest form of sacrilege to remake such a beloved classic… I guess those same folks forgot about the two somewhat lackluster sequels. I loved the original film, LOVED it, and it will always hold a special place in my heart. That said, while it remains ahead of its time and in many ways a timeless classic, I understand Hollywood is officially out of original ideas… so here’s the newest inevitable result. Joel Kinnaman (The Killing) is playing Alex Murphy/Robocop in this one, and the supporting cast is pretty stellar, including Michael Keaton, Samuel L. Jackson, Gary Oldman, Jackie Earle Haley, Jay Baruchel, Abbie Cornish and more – apparently original ROBOCOP star Miguel Ferrer is in there somewhere playing a different character, though I couldn’t spot him anywhere in the trailer. Check it out below and tell us your thoughts. I have to admit, as much as I adore the original, this looks pretty cool so far. If you disagree sound off in the comments.